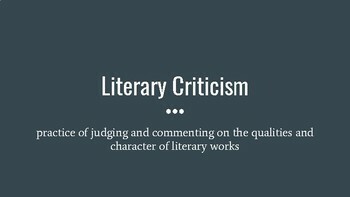 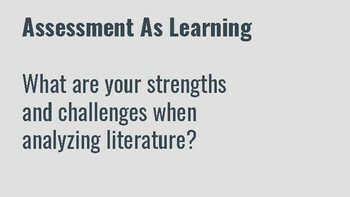 Powerpoint designed to accompany mini-lecture introducing students to literary criticism. 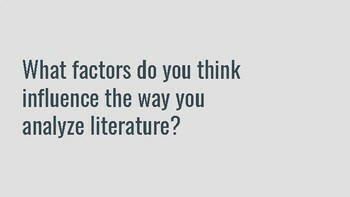 Brief reflection at the beginning about personal beliefs when analyzing literature that can be done as a class discussion, rapid writing exercise, or group conversation. 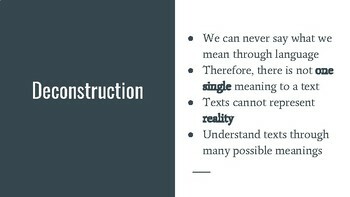 Definitions of different schools of thought have been written using accessible language.